Of the billions of stars that are known to be in our galaxy, only about 300 or so have official names, most of them derived from Arabic astronomers in the Middle Ages. (All the rest of the known stars have been assigned boring catalogue numbers instead). Of these, only one—Barnard’s Star—is named after a person who was actually associated with it. Edward Barnard had been born in 1857 in Tennessee, the son of a recent widow. For a time, the young Barnard made money by salvaging bits of wreckage from riverboats that had been sunk during the Civil War. At age 9, he was hired by a local photographer to help operate a solar camera, a large moveable device that used sunlight to focus images onto a glass photographic plate, allowing them to be enlarged as much as ten times. Barnard spent the next 16 years operating this giant camera. In 1875, however, a seemingly random event sparked Barnard’s interest in astronomy. A friend borrowed a small amount of money from him, and left an old book as collateral. When the friend never repaid the loan, Barnard kept the book—it was a catalogue of star maps, and included detailed instructions for making a telescope. Barnard became fascinated. Scrounging around town, Barnard obtained an old Confederate Army field spyglass from a friend, and turned it to the night sky. Soon, this wasn’t enough, and he spent his entire savings—the then-enormous amount of $400—to purchase a top of the line five-inch refracting telescope, which he placed on the roof of the photography shop. In the summer of 1877, the budding stargazer decided to focus his efforts on finding comets, which were then still poorly understood. From his rooftop perch, Barnard was able to find almost a dozen new comets over the next ten years. This in turn brought him into contact with Lewis Swift, the astronomer who had discovered the Swift-Tuttle comet, among others. Swift was in the process of working with a large patent-medicine manufacturing company to set up a prize of $200 for each North American discovery of a new comet during the next year, and Barnard would add five more comets to his total, winning $1,000 in the process. 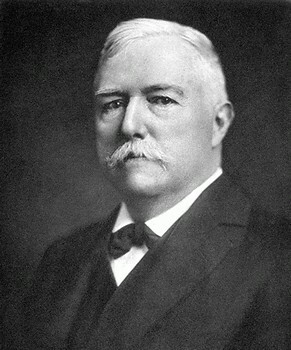 In 1882, Barnard had become prominent enough in the astronomy community to be offered a job at Vanderbilt University’s Observatory. By 1887, he had moved to the new Lick Observatory in California, which housed the largest telescope in the world at that time. Five years later, Barnard’s exceptionally sharp vision allowed him to make an unexpected discovery. While looking at Jupiter and its four moons through the Lick telescope, Barnard was startled to see what looked like a fifth very faint speck of light that moved over time—an unknown moon. It was the first new moon of Jupiter to be observed since Galileo had seen the original four satellites back in 1610, and the last moon in the solar system to be discovered by eye. The new Jovian satellite was named Amalthea. Barnard became a scientific celebrity, even having a mountain in California named after him. And within a few years, he had moved once again, to the even larger new telescope at the Yerkes Observatory run by the University of Chicago. It was here in 1916 that Barnard made the discovery for which he is now most famous. Over the decades, as our understanding of stars became clearer, the story of Barnard’s Star became ever more interesting. It was determined that our close neighbor is a red dwarf, a type of star that burns very slowly and thus has a lifetime of many billions of years—and Barnard’s star is much older than our Sun, perhaps as old as 12 billion years (compared to about 4.5 billion years for our own Sun). Careful measurements of the star’s motion also revealed something odd—the rapid track of Barnard’s Star is not due solely to its closeness to us, but the red dwarf actually is moving through space much more rapidly than most other stars. This has led to the current hypothesis that Barnard’s Star was not originally part of our own Milky Way Galaxy, but formed much earlier inside another small galaxy that became, several billion years ago, caught in the Milky Way’s gravity and was swallowed up. During this collision, a number of stars were flung out on their own rapid orbits far above the galactic plane—and Barnard’s Star is likely one of these “halo stars”. But the most interesting aspect of Barnard’s Star was still to come. In 1938, astronomer Peter van de Kamp, from the Sproul Observatory in Pennsylvania, published an intriguing paper laying out a possible way to detect planets orbiting other stars. At this time, of course, it was hotly debated whether there even were any planets outside of our own Solar System. But van de Kamp noted that if there were indeed any large planets orbiting a star, they would both orbit around a common center of mass. This in turn would produce a very slight wobble in the star’s position as the orbiting planet’s gravity pulled it to and fro—and this wobble could be detected by careful measurement. This process had already been used to confirm the presence of a small dim companion star orbiting the star Sirius, but van de Kamp now proposed that this same method could be used to detect extra-solar planets. And van de Kamp put his hypothesis to the test. He drew up a short list of stars in which a planet, if it existed, could most easily be detected—and Barnard’s Star was at the top of the list. Its proximity meant that tiny deviations could be accurately measured; its small size meant that any sizable planet would have a proportionately larger effect on the star’s motion; and it had no companion stars that orbited it, removing the confusion that would be caused by the gravitational interplay of a two-star system. In 1944, van de Kamp announced his startling conclusion: he had found a periodic wobble in the motion of Barnard’s Star which indicated that it was being orbited by a planet roughly 60 times as big as Jupiter. In 1963, after further measurements, he revised his estimate to just 1.6 times the mass of Jupiter, and calculated an orbital period of 24 years. And then six years later, he changed his conclusion again: now the data indicated two planets around Barnard’s Star—one with a 12-year orbit and one with a 20-year orbit. It was a stunning announcement. But it provoked intense debate. Some reviewers announced that they could not find any evidence of periodic wobbles in van de Kamp’s data, and put it all down to observational errors and uncertain measurements. Others, on the other hand, declared that they could find traces of as many as five different planets orbiting Barnard’s Star. The issue raged until 1973, when it was settled in an entirely unexpected way. A doctoral student who was attempting to replicate van de Kamp’s study (using the very same telescope at Sproul Observatory) found that measurements of another star he was looking at, as recorded in photographic plates taken over many years, also revealed the exact same periodic variations in position as those van de Kamp had seen in Barnard’s Star, in the exact same years. And those years happened to be the same times that the telescope had been serviced and had its lenses replaced. The conclusion was obvious, and crushing: the deviations that van de Kamp had so carefully measured were not coming from Barnard’s Star at all—they were produced by a tiny shift of the telescope lens as it was serviced. There were no demonstrated planets around Barnard’s Star. But although van de Kamp’s data had been corrupted by the mechanical changes to his telescope, astronomers realized that his methodology had been sound, and that accurate measurements of a sun’s wobble could indeed be used to detect extra-solar planets, if they were there. The hunt for planets began in earnest. In 1992 came the announcement of the discovery of the first confirmed exo-planet, around a pulsar known as PSR 1257+12. Since then, other methods of “planet-hunting” have been developed, almost 4,000 extra-solar planets have been discovered, and more are found each year. And in November 2018, Barnard’s Star joined those ranks, when the discovery of a planet about three times the size of Earth was announced orbiting the red dwarf, with a period of 233 days. It was labeled “Barnard’s Star B”. It is a frozen and dim planet, far outside the “habitable zone”, though perhaps with a liquid methane landscape somewhat similar to the Saturnian moon Titan.